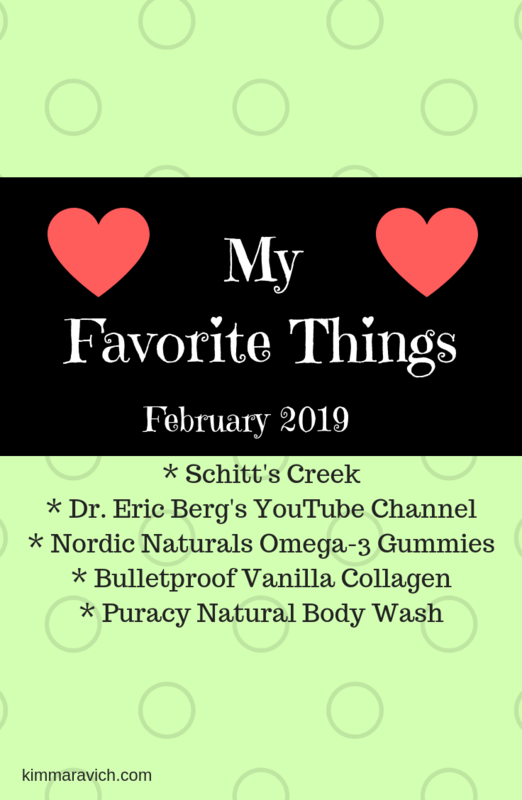 These are the items and things to watch that I’m loving this month. Enjoy! In case you haven’t caught on yet, I’m a Netflix junkie. This show does not disappoint. It is downright hilarious! 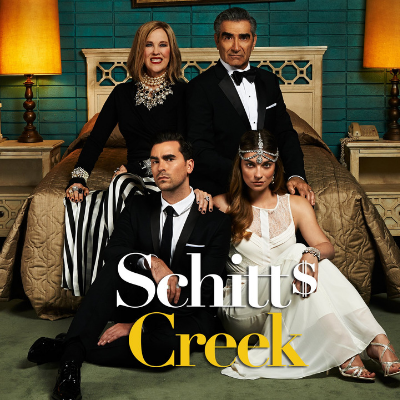 The premise is as follows: The suddenly broke, formerly filthy-rich Rose family is reduced to living in a ramshackle motel in a town they once bought as a joke: Schitt's Creek. The characters are so unique and the lines so well-written they often have me laughing out loud. The hilarity comes from the goofy fish-out-of-water scenarios, the heart comes from watching this family finally act like one. The show was created by Eugene Levy and his son Daniel Levy, both of whom have starring roles. Dr. Eric Berg is a chiropractor who specializes in weight loss through nutritional and natural methods. He trains chiropractors, physicians and allied healthcare practitioners in his methods. He is also the author of The 7 Principles of Fat Burning. I discovered Dr. Berg’s YouTube channel when I was doing research for an article I wrote on the connection between gallbladder and thyroid health (read it here.) Dr. Berg has over 2,000 videos and more than 2 million subscribers to his channel. If you’re looking for quick yet thorough health videos with solid and reliable information, you definitely need to check out his channel. His videos are not just about weight loss. Other topics include hormonal health, pain and inflammation, blood sugar, digestion, home remedies, intermittent fasting, cholesterol, thyroid, diets, nutrition, heart health, stress, and sleep. In the past, I had great difficulty getting my kids to take vitamins. They are admittedly picky eaters, so I worry about them getting all the nutrients they need. Hooray for gummy vitamins! Sure, they typically contain some sugar, but if my kids will take them, I’m ok with that. I know what you’re thinking … fish oil in a gummy form? Yes! These have a tangerine flavor which masks any fishy taste. They are non-GMO and free of gluten, dairy, and artificial colors or flavors. 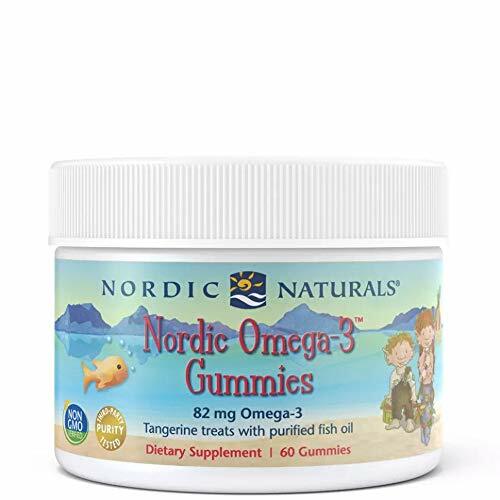 Two gummies contain 82 mg of Omega-3s, making this a decent supplement for children. In case you forgot, Omega-3s are good for brain and heart health, attention and behavior, fighting inflammation, helping with bones and joints, clear skin, and they may even reduce the risk for asthma in children. I’ve written about the benefits of collagen before and have also mentioned that I add it to my morning smoothies. In the past, I’ve used Great Lakes collagen (and still do), but I also found a collagen that I enjoy adding to my coffee and occasionally to my smoothies as well. This vanilla collagen is delicious. I like to add it to my coffee along with a dollop of coconut oil, and then I use my immersion hand-stick blender to froth it up. It’s a nice treat especially on a cold morning. Bulletproof collagen comes from grass-fed cattle and does not contain any dairy, egg, sugar, corn, yeast, wheat, soy, gluten, artificial flavors, or preservatives. Collagen can help heal a “leaky gut,” strengthen nails and hair, and is great for the joints too. In my attempts to find a non-toxic yet affordable body wash, I discovered Puracy. Puracy is a coconut-based cleanser with a foaming lather and fresh citrusy smell, but it doesn’t contain synthetic fragrances. It also contains no triclosan, sulfates (SLS, SLES, SCS), formaldehyde, salicylates, parabens, phosphates, MEA, DEA, TEA, petroleum-based ingredients, animal by-products, perfumes, dyes or caustics. It is plant-derived and biodegradable. This two-pack will last a long time and retails for only $20 on Amazon.